We may not believe in angels but they believe in us. What a sweet little angel!!!!! beautiful Gina, thanks for sharing! My sister and i go up that way allot. I live at Shallotte. 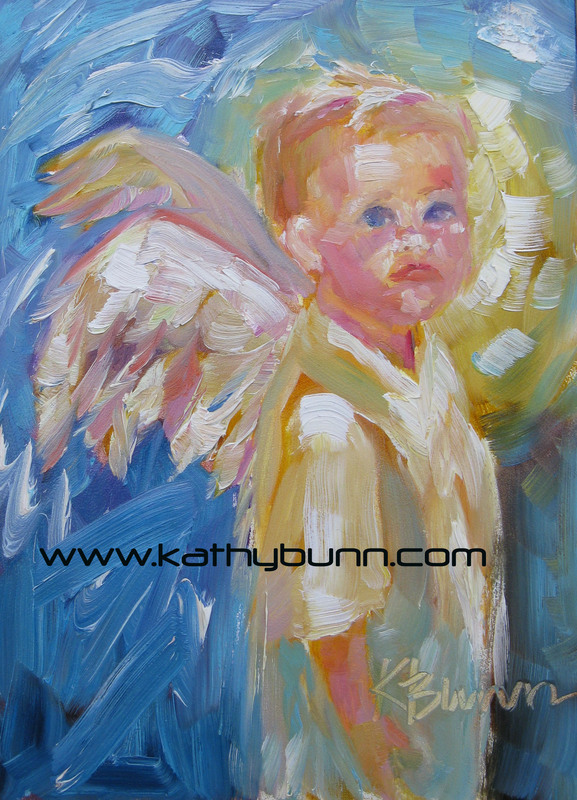 When we can sure would love to get to the shop to see you Angel paintings. I have always been attracted to angels whether it be paintings or anything pertaining to Angels. My son is attracted to Angel paintings as well. He has a huge pic of and Angel over his fireplace. You work is beautiful!! Thanks Gina. I grew up in Supply and was in the last graduating class from Shallotte High School. Please come! I didn’t know that you grew up in Supply. If you don’t mind me asking what is your maiden name. I graduated from Shallotte in 1969. You look so familiar and i’m sure i know you but just can’t put it all together. Do You know Frank Hewett nickname Buddy? He lives in Raleigh and he is getting ready to retire and move here. He is my first cousin and a great Artist. He did a couple of paintings for me of my Daddie’s shrimp boat. Angels are all around us i feel them every day. If i didn’t have my special angels i think i would fly away! I have always loved angels and i do believe they are with us every day but we all have one special angel to help us make it through the day.